Mr. Windemuller is an Assistant Portfolio Manager and Analyst for Bukaty Companies Financial Services, Denver Division. 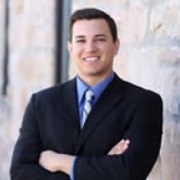 Matt develops financial plans and portfolio stress tests for wealth management clients, and assists both financial advisors and retirement plan consultants with analysis and research. Matt graduated from the University of Denver with a B.S. in Finance and Marketing.